Norwegian Sociologist and University of Oslo lecturer Johan Galtung has shocked and left the Jewish community aghast when he made remarks that carried a tone of anti-Semitism. In one of his lectures, he claimed that a conspiracy exists between the Mossad and the Norway massacre that took place last year. He also went on to say that Jewish involvement was covered up by the U.S. media, which is primarily run by Jews and has a history of pro-Israeli bias. Some of his other allegations suggested that anti-Semitism in World War II Germany was due to the influential positions that Jews held in German Society. Among Galtung’s recommended reading list is “The Protocols of the Elders of Zion”, a book that has been regarded as one of the world’s most anti-Semitic text. 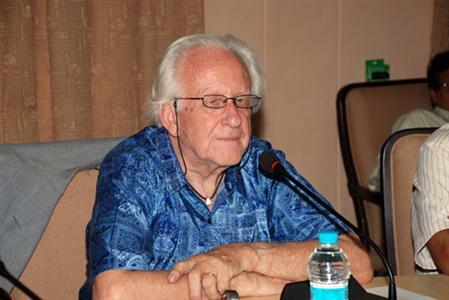 Professor Galtung is 82-years-old and is the founder of the conflict resolution and peace studies discipline. He is also the founder of the Peace Research Institution in Oslo. He is a well-respected professor in the field of sociological research, which makes his remarks all the more dumfounding. Galtung made repeated anti-Semitic remarks both during his lectures at the University of Oslo and in periodicals published in the Norwegian periodical. Galtung also went on to say that the Norway killer, Anders Behring Breivik, had connections to the freemasons, an organization that Galtung believes is rooted in Jewish origins. He also believes it may be the case that it was the Mossad who gave Breivik the orders to go on his rampage. He went on to say that the U.S. press has an unproportionate number of Jews who are running the show behind the scenes. He argued that this presents stories in the media that are unfairly leaned in the favor of Jewish and Israeli causes. Despite his past reputation as a well-respected figure, his remarks could destroy his entire credibility. If this man truly believes in the words coming out of his own mouth, then he is no longer deserving of the reverence he earned over the years.